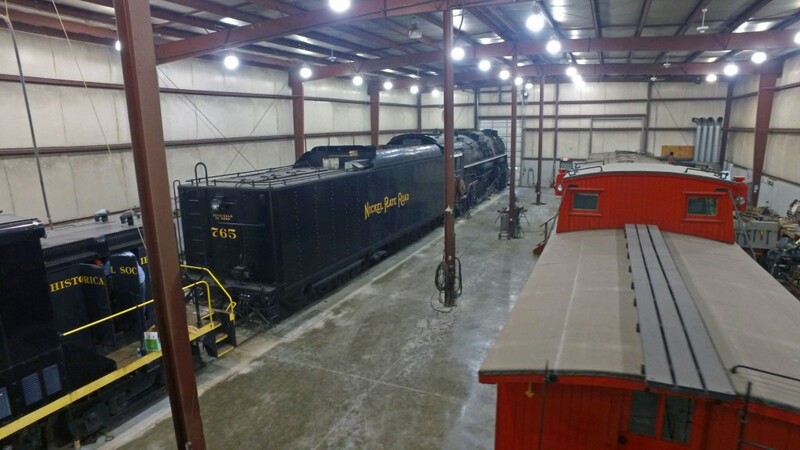 NEW HAVEN, Indiana – The Fort Wayne Railroad Historical Society, Inc (FWRHS) is moving to replace major components of historic steam locomotive no. 765 and take on a variety of other projects in 2016 after another successful year of operations. Over the course of just a few weekends in 2015, no. 765 pulled over 6,000 passengers on sell-out excursions operating in Indiana, Ohio, Pennsylvania, and New York. In addition, the locomotive and its train attracted thousands more to towns across the Midwest and East Coast. 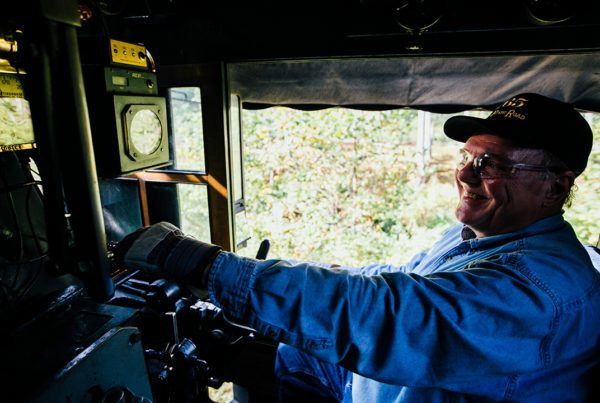 Since 2012, the 765 has been a star attraction of Norfolk Southern Corp’s 21st Century Steam Program, which concluded last year. “We’ve been very fortunate to have that partnership with Norfolk Southern and they’ve committed to helping us deliver the 765 to new and familiar destinations this year.” explained Kelly Lynch, Vice President of the FWRHS. The replacement of 202 flues and 73 tubes from the locomotive will see no. 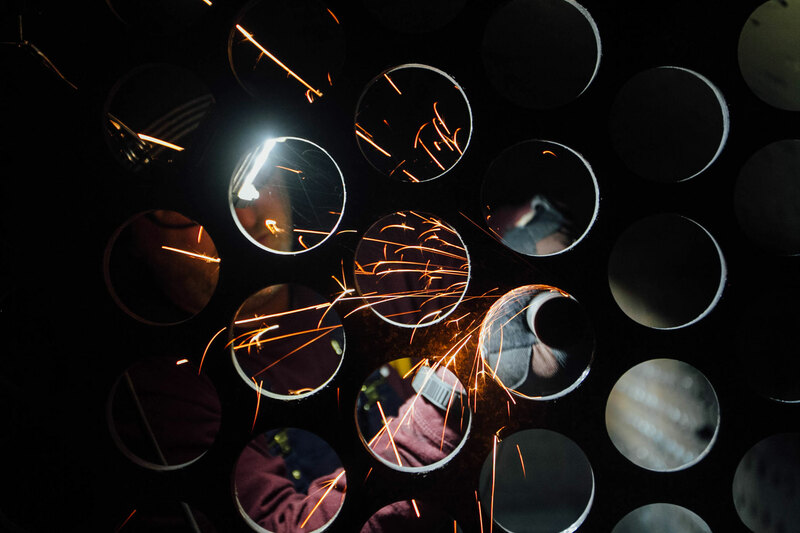 765’s downtime for future maintenance reduced considerably. The tubes and flues for the international attraction were last replaced in 2004. “Historically, work of this type could remove an engine from service for several years. We want to keep up the momentum and insure the 765 inspires thousands more again in 2016,” Lynch stated. No. 765 is open to the public at the Society’s shop at 15808 Edgerton Road, New Haven each weekend and by appointment. News about the 765’s excursion season is anticipated in the coming weeks. 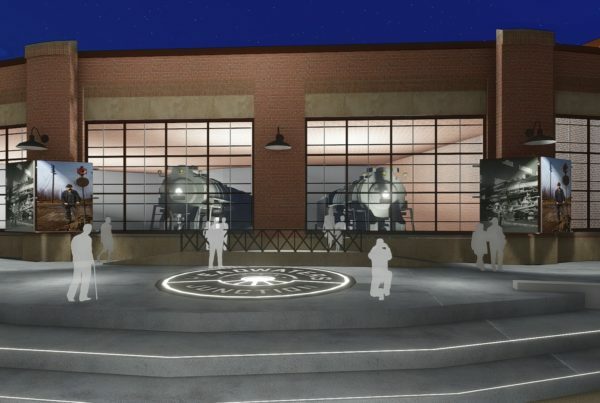 The Clarence L. and Edith B. Schust Foundation has become the latest local organization to contribute money to ongoing development, research and study work for Headwaters Junction, the Society’s proposed riverfront attraction featuring no. 765. The Schust contribution of $35,000 brings the total money raised to date to $76,000. 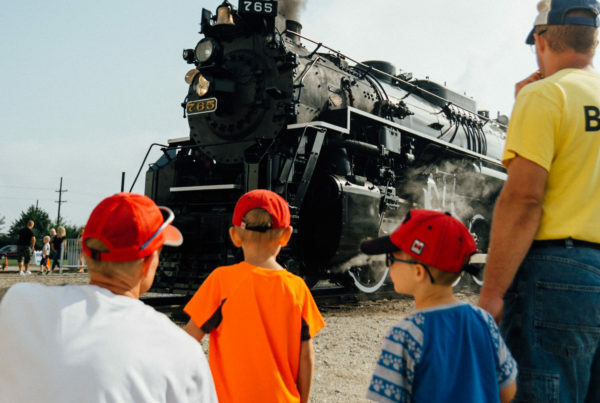 The attraction would feature a rail yard park and annual tourist train programs and events on a recreated railroad line. 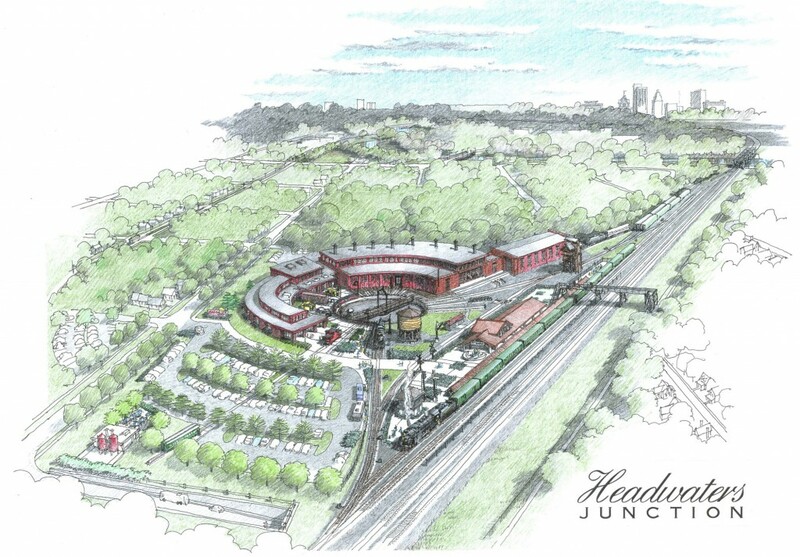 The FWRHS selected Stone Consulting to undertake an initial feasibility and economic impact study for Headwaters Junction in late 2015. The study has been funded in part by Steel Dynamics and the Fort Wayne Community Foundation. Previously, the project had been endorsed by Legacy Fort Wayne and SWA Group as a critical component to Phase 1 of riverfront development. Initial estimates show the potential for promising tourism numbers to downtown Fort Wayne. The initial report will be finalized in April with additional engineering, design and property acquisition work to follow. In tandem with the work, the FWRHS has also invested in a concrete floor at its restoration facility on Edgerton Road – the first major improvement to the shop since its construction in 1991. 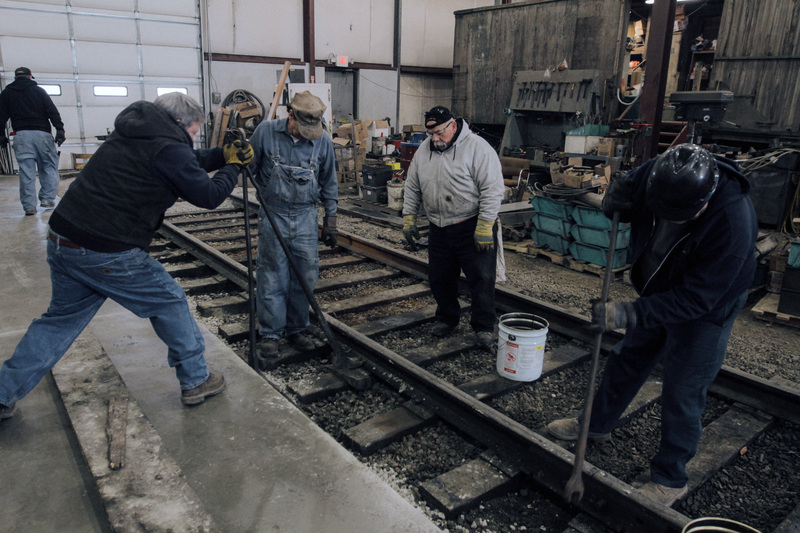 The floor will enable the construction of specific work areas dedicated to railroad preservation projects and enable a greater work environment. 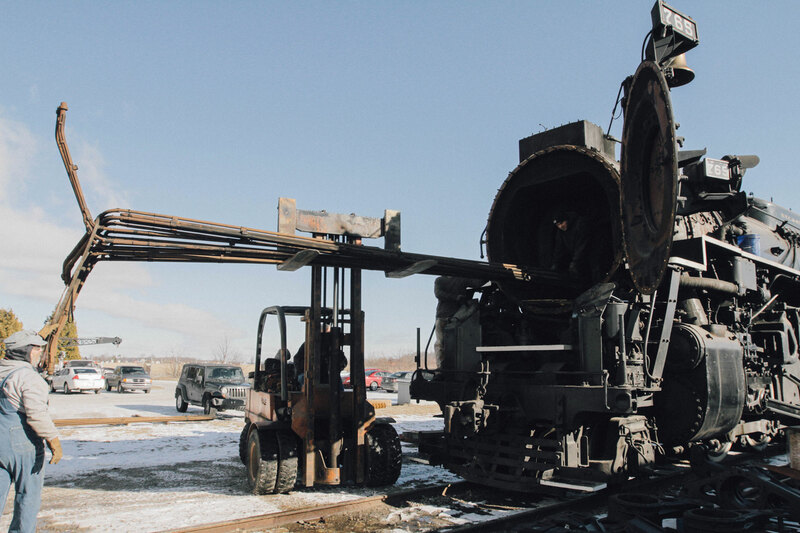 Visitors will surely appreciate the improvement after the facility hosted 4,500 guests during the 2015 Santa Train. The new concrete floor has also created the need for a new forklift suited for indoor use. The Society is raising $15,000 in order to purchase a suitable forklift with 8,000lb capacity and a 15-foot lift. Donations for the project can be made online at gofundme.com/railroadforklift. 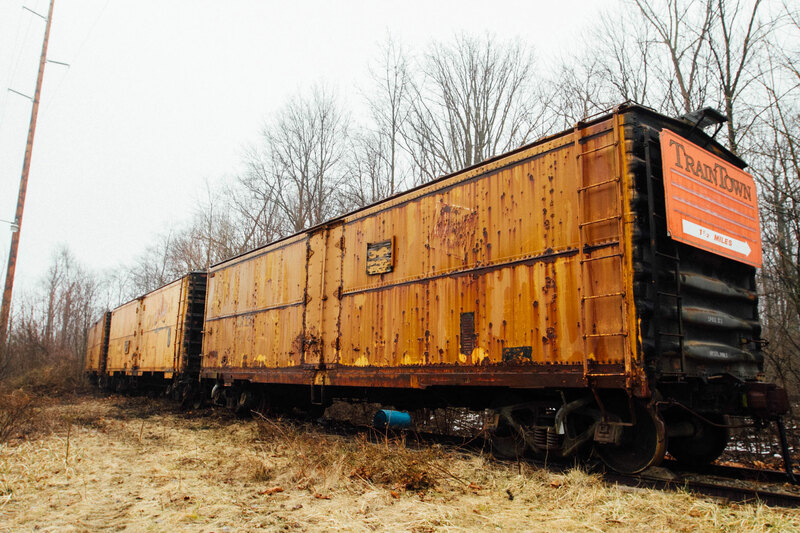 In March, the FWRHS began the removal of three vintage freight cars located at the original restoration site of no. 765 at Ryan and Edgerton Roads. Landlocked in their location since the early 1990s, the vintage refrigerated cars – originally used for transporting fruit and other perishables overnight to Chicago and New York City in the 1940s and 50s – will be relocated to Edgerton Road for stabilization and eventual restoration and use.